Let eTrack be your central repository for all contacts: staff, clients, consultants, contractors, suppliers, councils etc. eTrack is designed to be always open on staff’s desk and so provides easy, multi user access to contact details and correspondence. 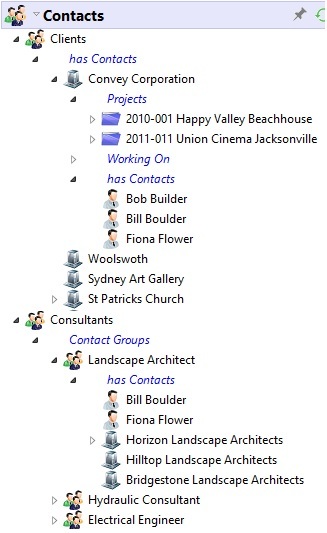 A full interface with Outlook exists so you can synchronise your mobile devices. 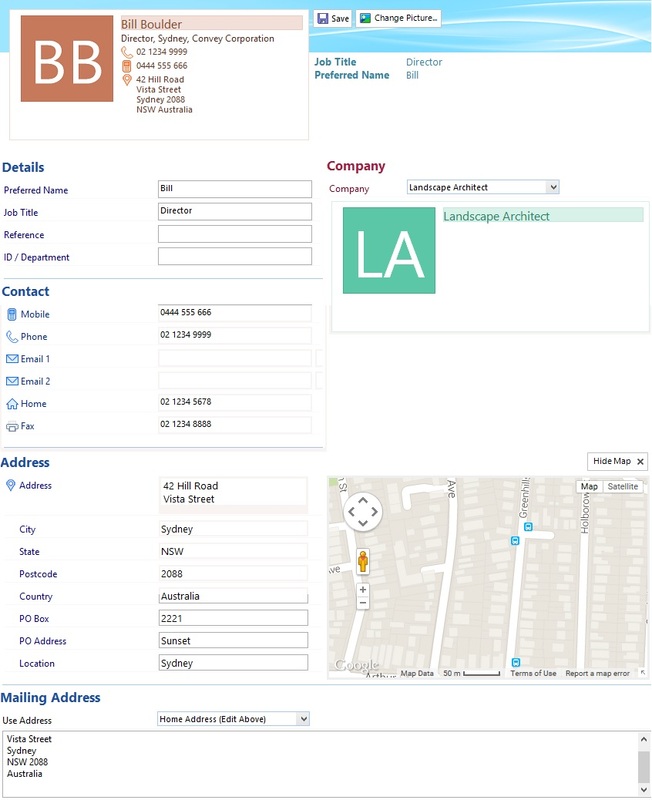 Share contact details across your company to keep uptodate. Synchronize with Microsoft Outlook and your mobile phones and devices. 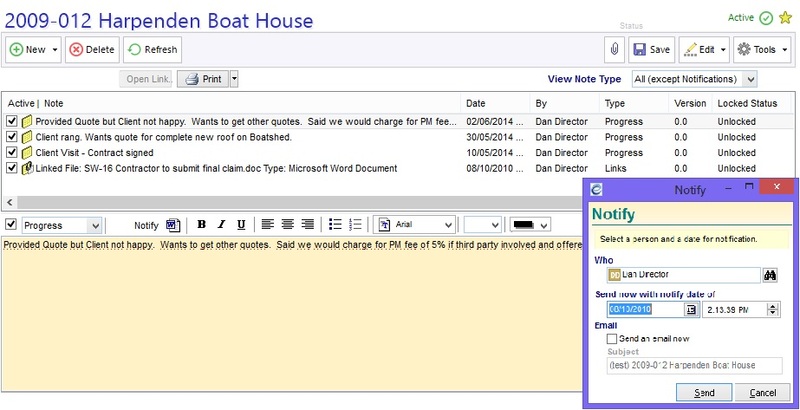 Microsoft Word documents such as letters and faxes may be embedded or linked and edited through eTrack, either directly or via the eTrack Document Management module. When selected the appropriate program is automatically launched. Embed or attach letters and documents with a full interface with Microsoft Word.